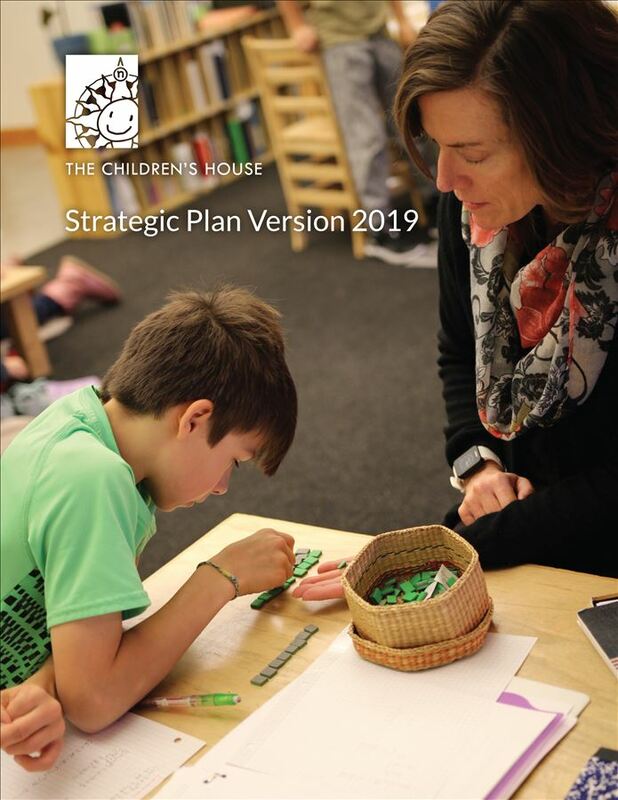 In 2015, The Children’s House published a strategic planning document, Strategic Plan 2015, that guided our decisions through the 2017-2018 school year. The plan was generated through a comprehensive phase of discovery that included input from focus groups, research on best practices from independent schools nationwide, an organizational assessment, and goals set by our Board of Directors. Over the last four years, this strategic document was integral in creating priorities to strengthen and grow our school community. Major accomplishments include launching our adolescent program (TCHJH), adding 2,600 square feet of classroom and fine arts space, strengthening our fiscal health and building cash reserves, and implementing new methods of communicating with families. With the dedication and focus of the board, administration, faculty, and staff, we were able to accomplish all of our goals, putting us ahead of our expected timeline. It took every member of this community to reach these goals and we are proud of where we are today. In the fall of 2018, we gathered again to generate the next iteration of our plan. Building on the thorough strategic planning work carried out in 2015, the board set to work to create a vision for the next 3-5 years. Valuable input from our dedicated staff was collected to generate a new vision for the future of our school community. We are pleased to share our Strategic Plan Version 2019 which will be used to uphold the vision of high-fidelity, independent Montessori education for all of our 247 students. We are excited by what the future holds for The Children’s House and look forward to sharing the journey with you. Think back to a time when you were a child, passionate about learning something new. Whether it was experimenting with new words, creating art, riding a bike, or how a science experiment worked, it is likely that you practiced repeatedly to a point of great satisfaction. By continuing to have interest and engage in the activity, you mastered the skill without even knowing you were working hard to learn. Children are born with an innate sense of curiosity. They look at the world with wonder, excitement, fresh eyes, and an insatiable desire to explore their world and learn. Wouldn’t it be incredible if we could do something to help perpetuate that wonder and love of learning as they continue to grow up? The greatest gift we can give our children is to provide them the time and space for their curiosity to work its magic-- to slow down, encourage exploration, provide them opportunities to engage with the world, and be patient. Learning is a natural process that happens best when we provide them with the right conditions and don’t interfere. When I talk with parents about their hopes and goals for their children, one of the things that is at the top of nearly every parent’s list is that their child is happy and loves learning throughout his or her life. Naturally, in Montessori, we revel in the chance to talk about life-long learning. 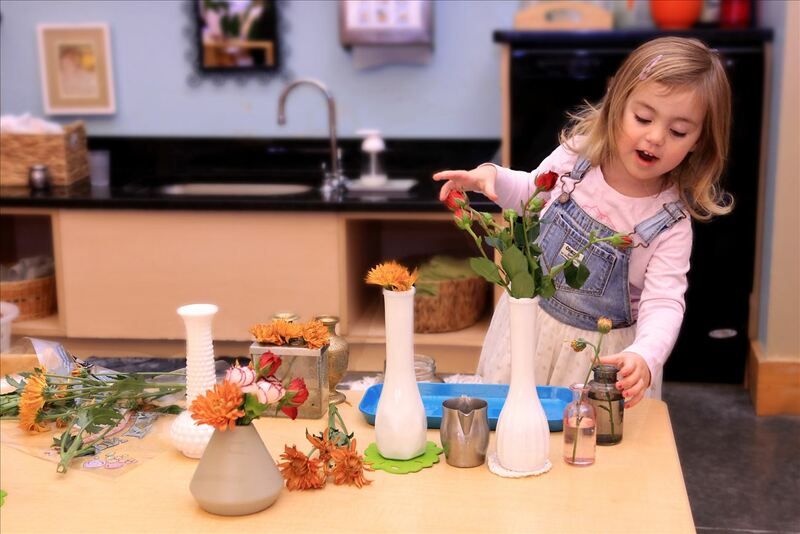 Our environments and methodology provide the perfect place for every child to learn through interest, freedom to act on their curiosity, and uninterrupted time. 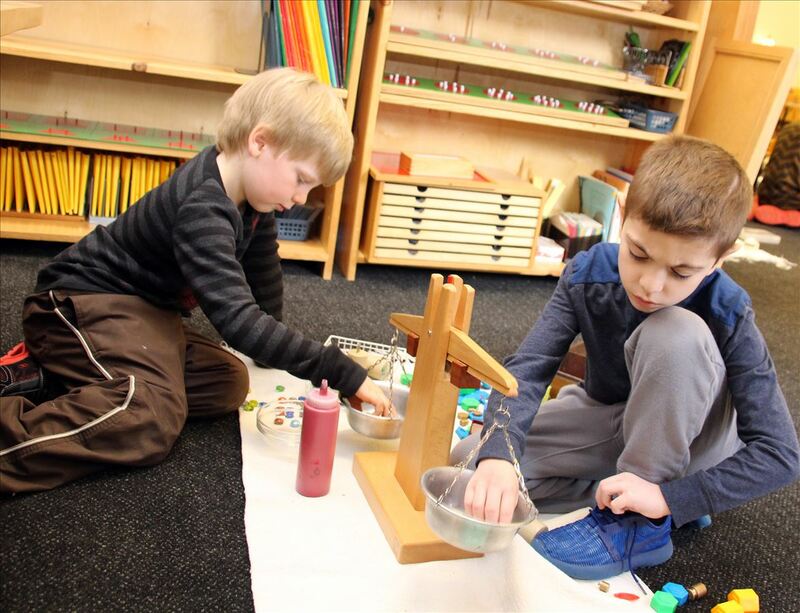 Activities, or what we call “work” in our Montessori setting, is beautiful, orderly and inviting. The materials beacon the children to explore them through their order and simplicity. Every activity is specifically designed to aid the child in learning a specific concepts. No bells, whistles, or complicated instructions included. With support from a Montessori teacher or “guide,” the child is encouraged to choose work based on their interest and ability. When the perfect balance of challenge and interest is achieved, a child becomes deeply engaged in their work and concentrates to a point where they hardly notice the activity of other children around them. And, this “sweet spot” of engagement, is what keeps the child coming back for more-- to explore new challenges and continue to be interested in the world around them. And to love their work. In a world that is increasingly becoming more fast-paced, technology driven, and distracting, there has never been a more important time to provide opportunity for our children to have uninterrupted time. In their Montessori environment, the children have long, blocks of time to be curious, choose work that is interesting and challenging, experiment trying things, fail and repeat. Step into a Montessori classroom and observe sometime. You will see children engaged with their work, happily learning on their own or side by side with a peer or two. The activities they will be working on will be as varied as the individual children are themselves, chosen based on their interests, abilities and curiosity. And, given uninterrupted time to engage doing things they enjoy, the natural consequence is that they love what they do.